My family loves card games. Does yours? 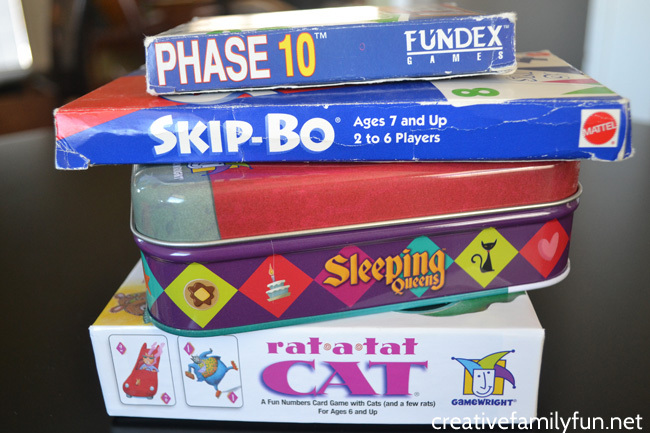 We’ve acquired many fun card games over the years and we often pull them out for family game night. 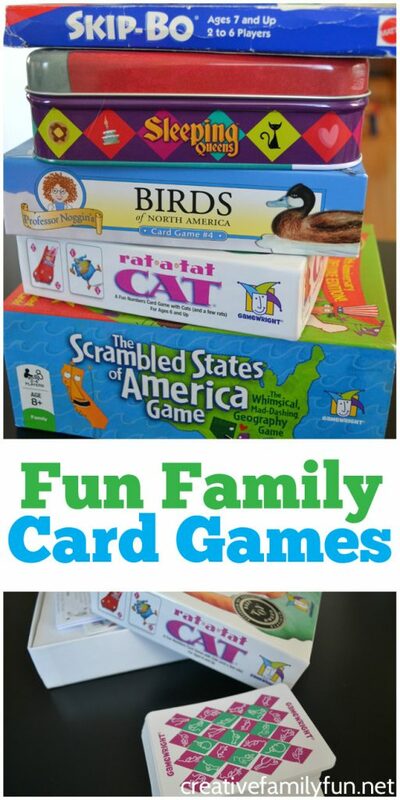 Do you have any favorite easy to play card games for families? 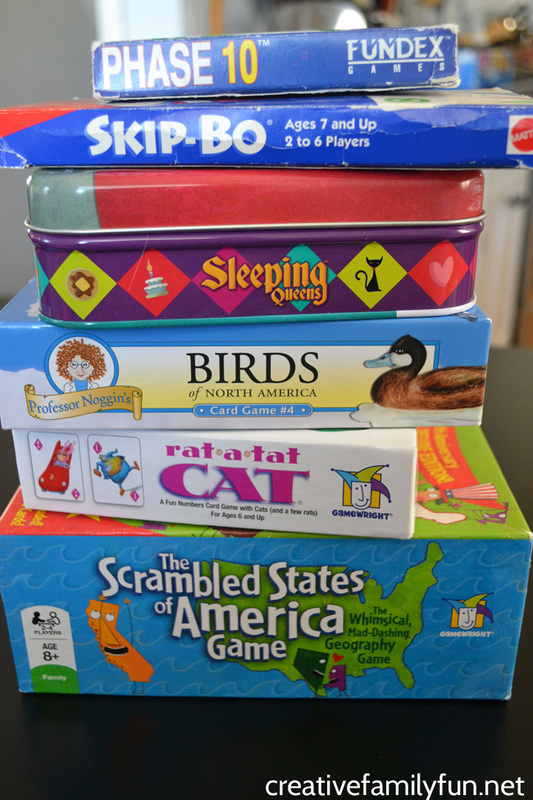 Here are some of our favorites that would be perfect for your next family game night. So many of our card games are perfect for older kids and tweens (ages 8 and up), but you can still find some fun and easy to play card games if you have younger kids. All of the ages mentioned are the manufacturer recommended age ranges. One of the biggest struggles with card games for younger kids is that it’s so hard to hold onto the cards. We had a set of these Little Hands Playing Card Holders when my girls were younger which solved that problem for us. Spot It! is a fun game of visual memory that is great for all ages. There are so many versions from Spot It! Jr. Animals (ages 4 to 6) to Spot It! Sports and Spot It! Holidays (both ages 6 and up). Set: The Family Game of Visual Perception (ages 6 and up). This award winning game always comes highly recommended. I’m not sure why we don’t have it in our game collection yet! Five Crowns. This is a fun rummy style game that also comes highly recommended. It’s high on my with list! Zeus on the Loose. We’ve got several Gamewright games that we love. This mythology themed game looks like so much fun. 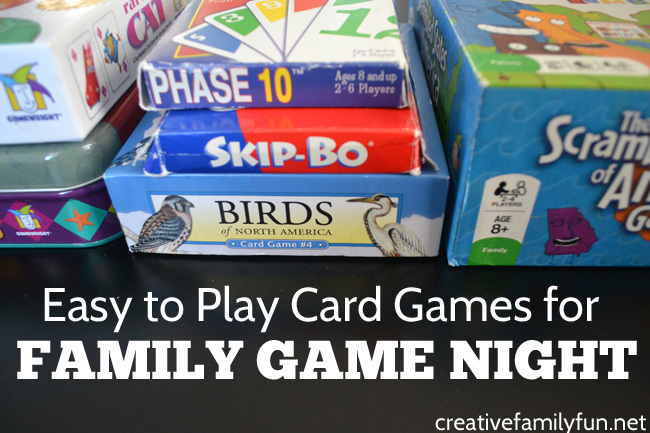 What other easy to play card games would you recommend for family game night?